The Detroit Lions beat the Chicago Bears 14-2. 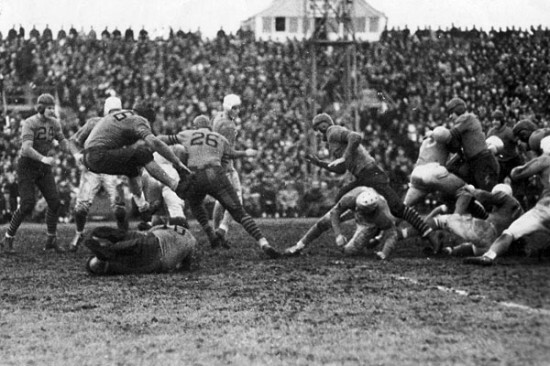 The first broadcast of an NFL game was on Thanksgiving Day, 1934 (Nov. 29). *and that green jello salad thing Aunt Clara always brings. Previous Previous post: Who Do You Favor?